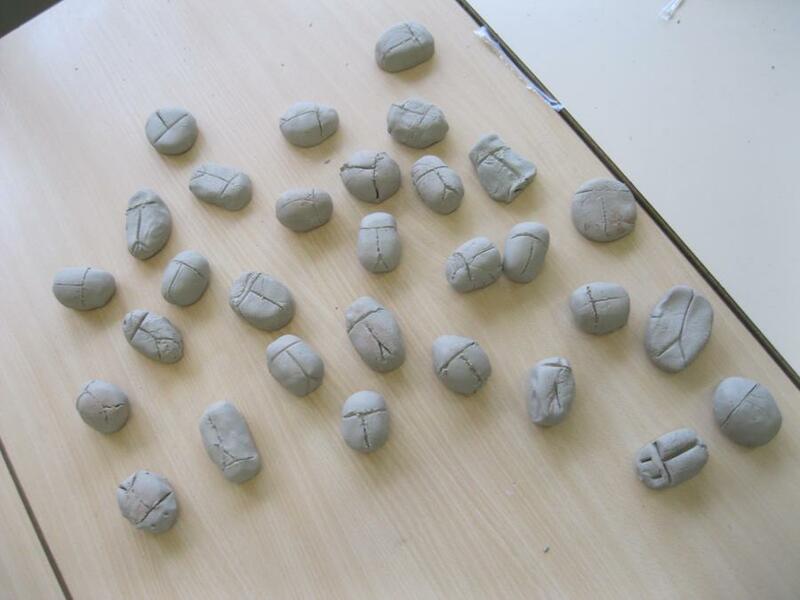 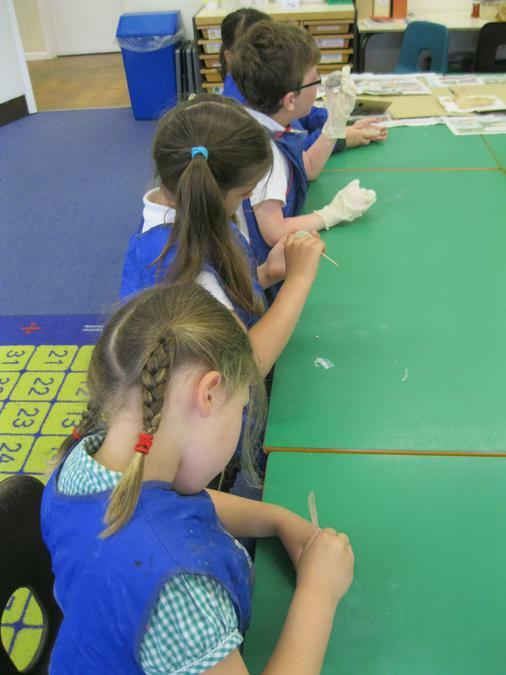 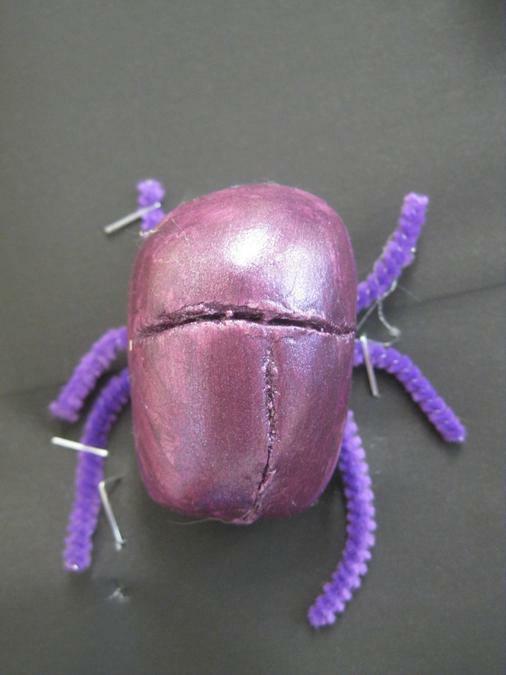 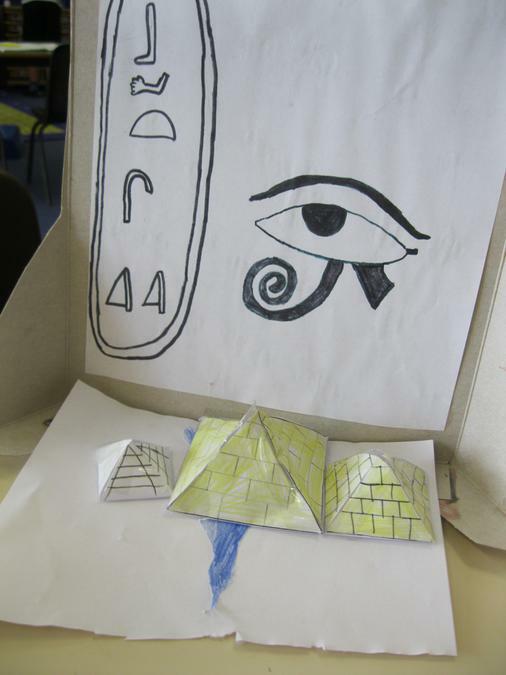 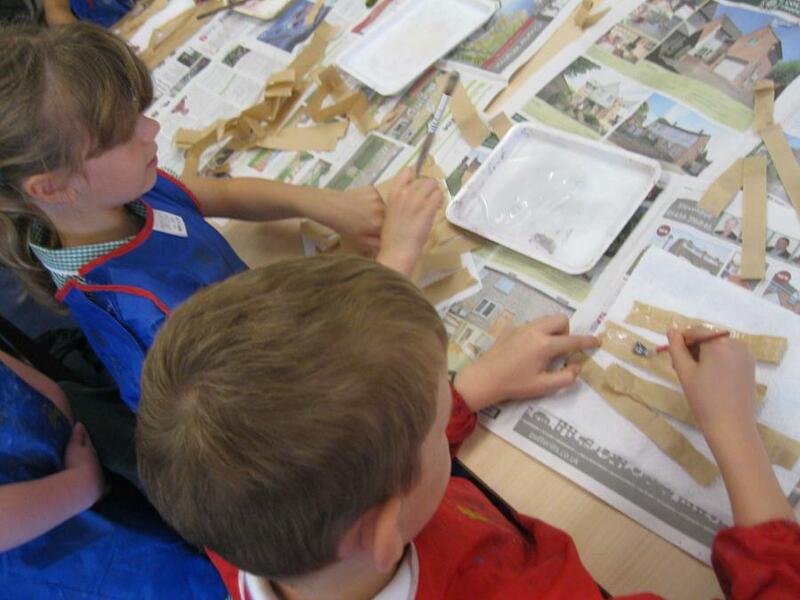 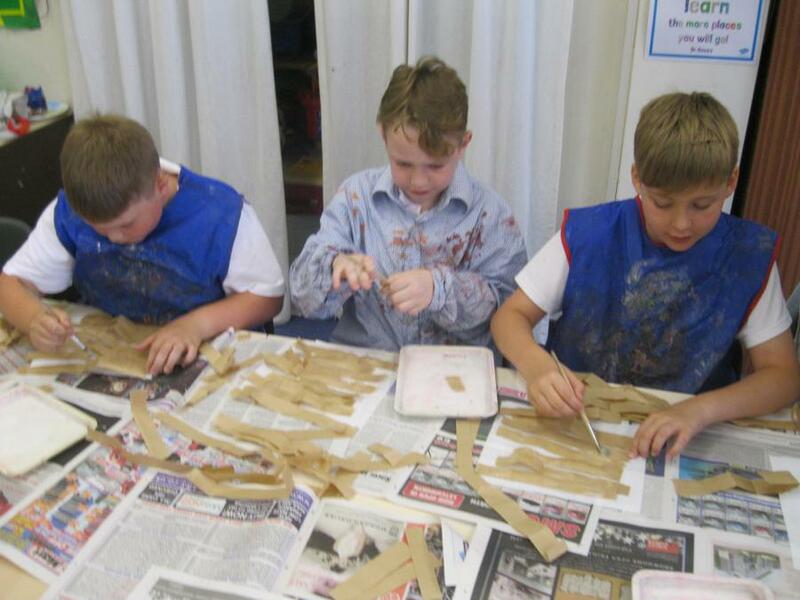 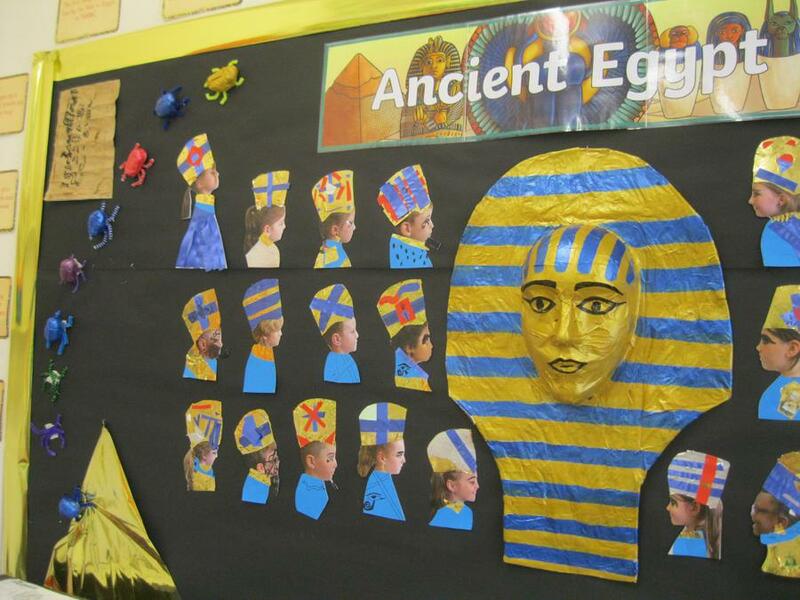 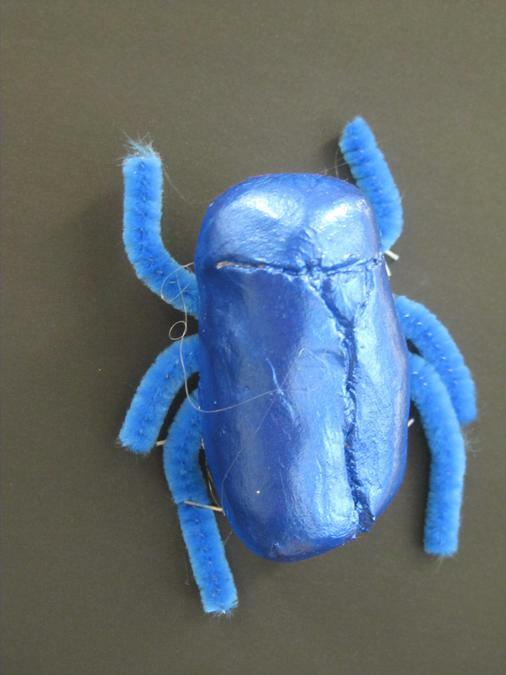 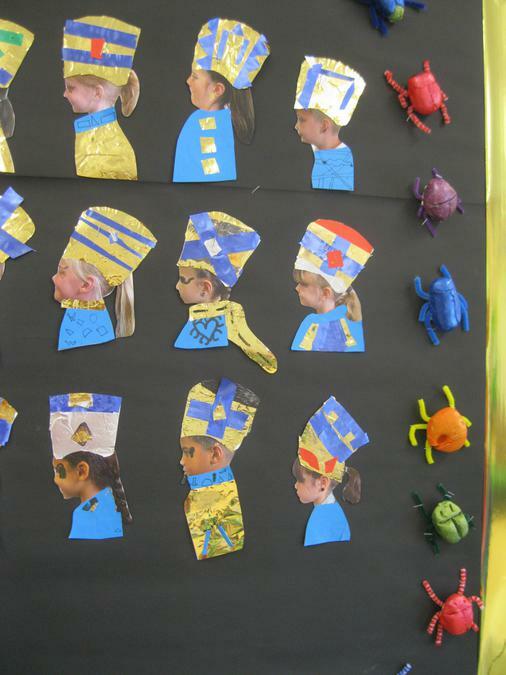 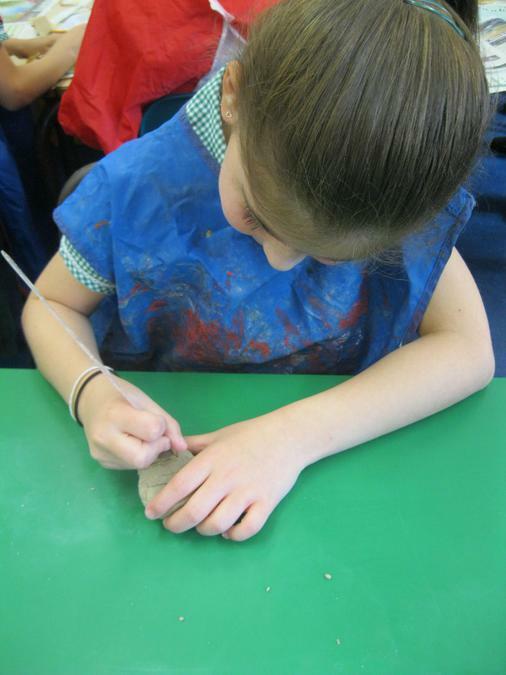 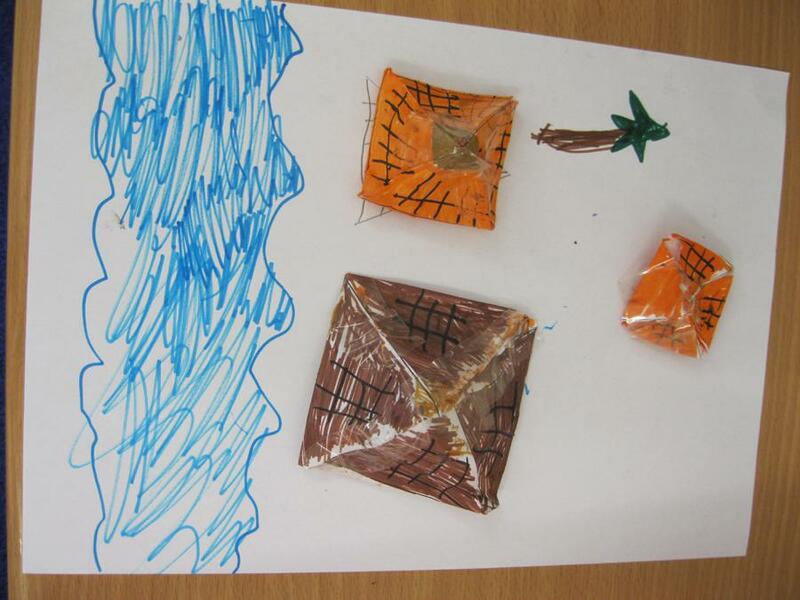 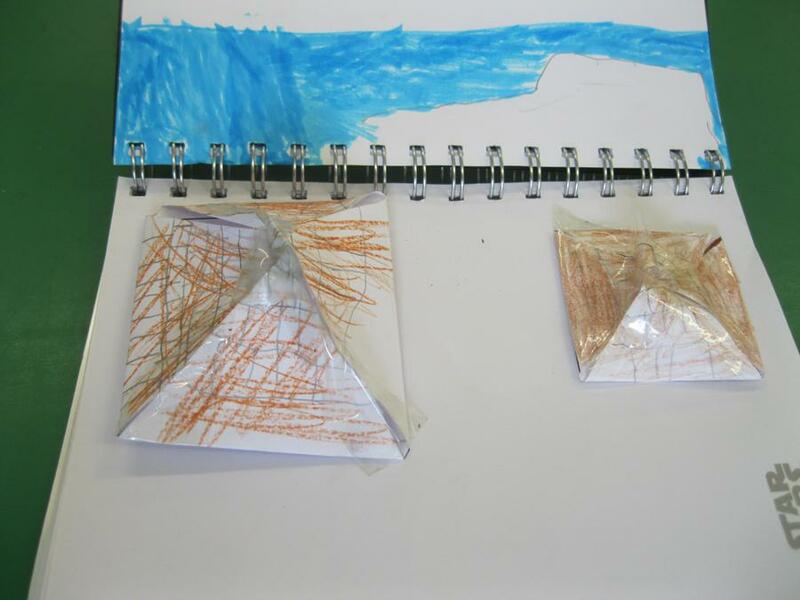 To start off our History topic on the Ancient Egyptians, we had a craft morning where we created clay scarab beetles, our own version of papyrus paper and turned photos of ourselves into kings and queens. 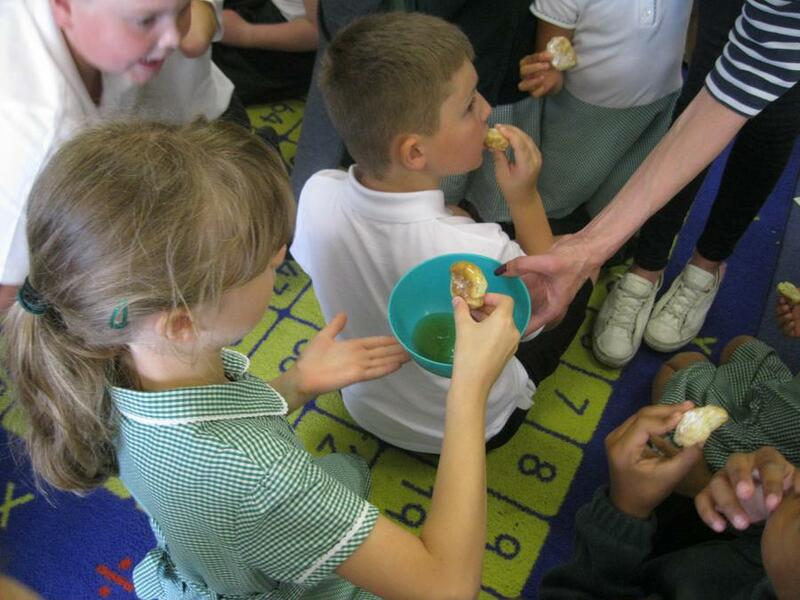 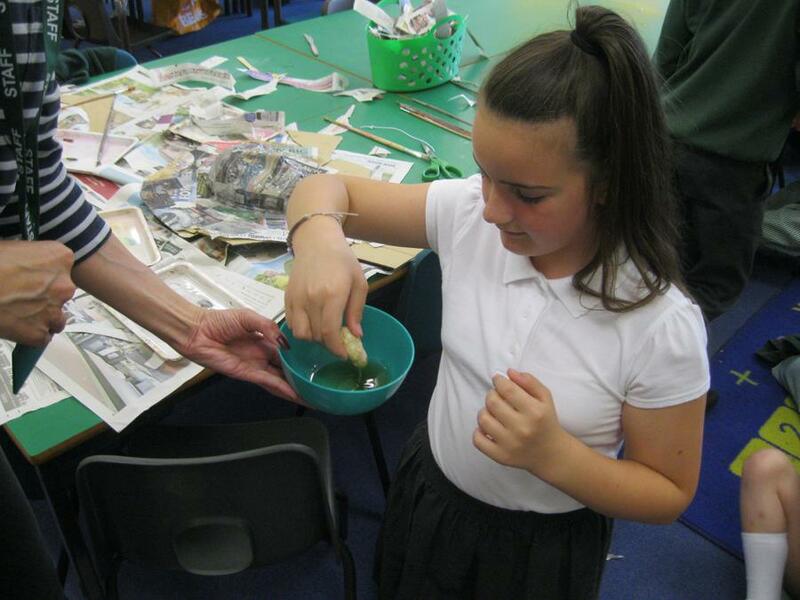 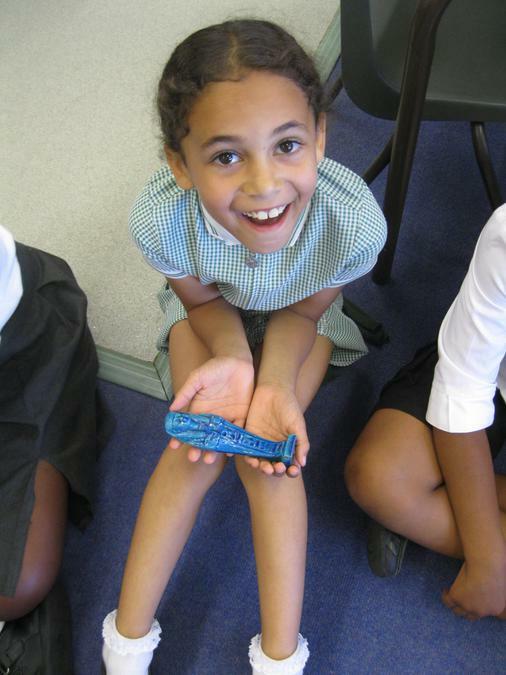 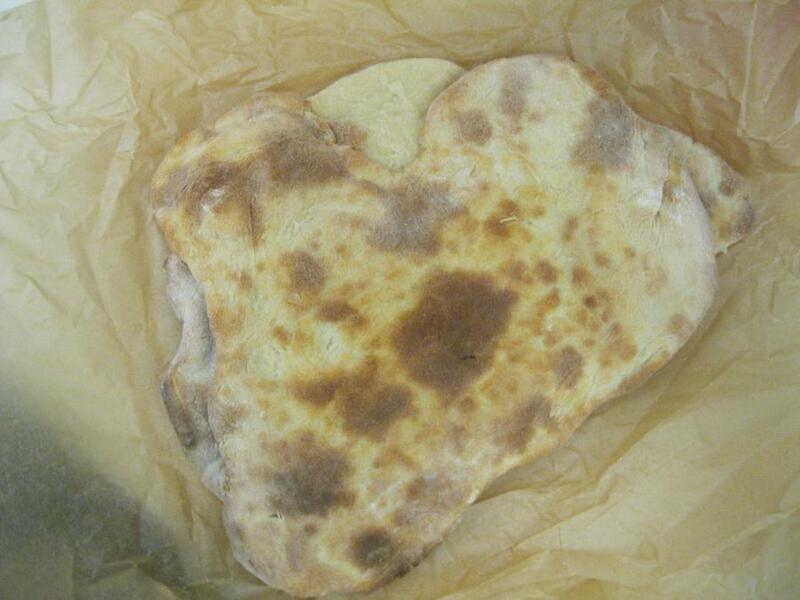 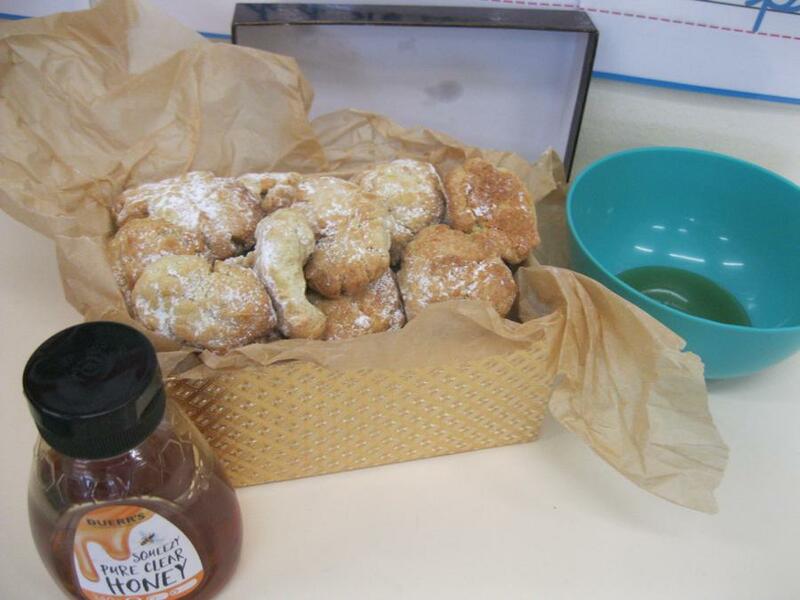 We were lucky enough to try some Ancient Egyptian style bread and sweets, both of which were delicious! 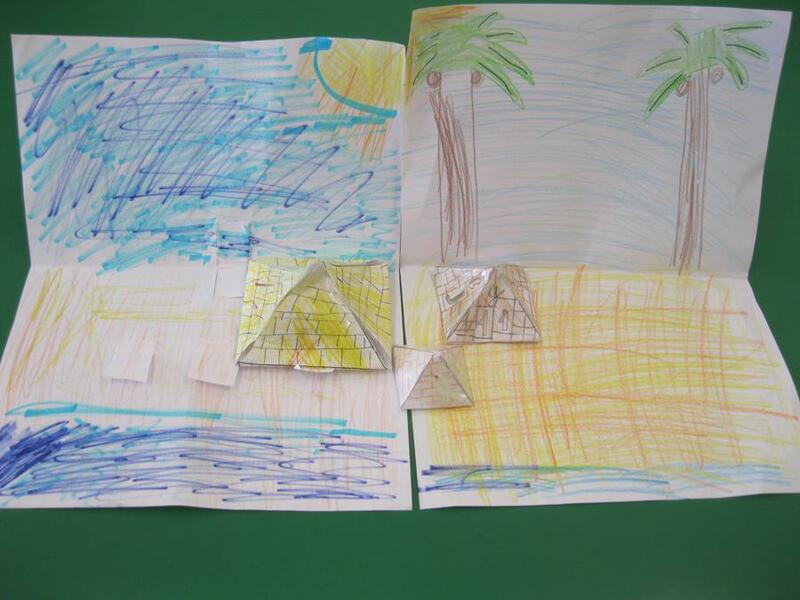 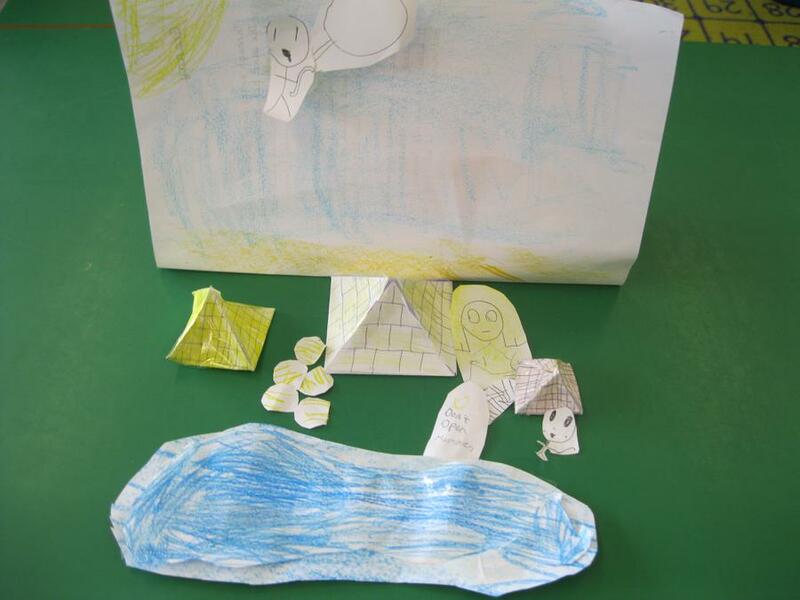 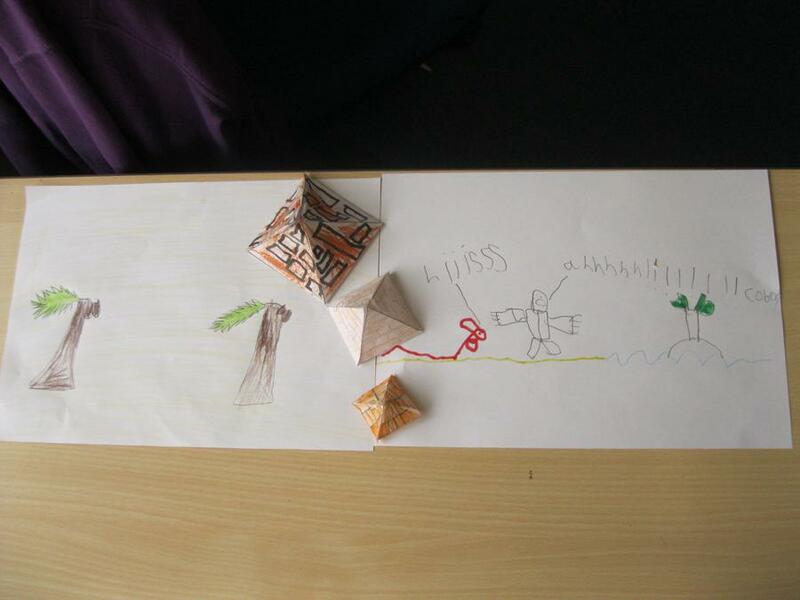 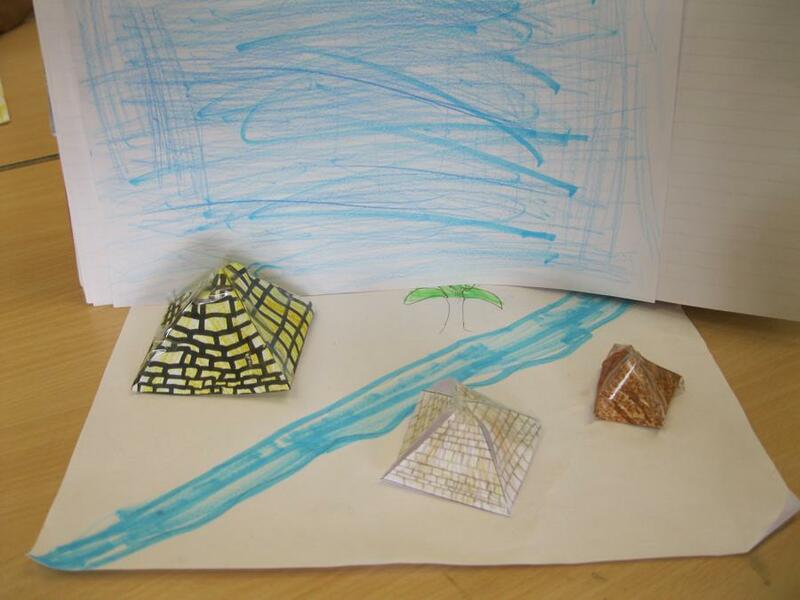 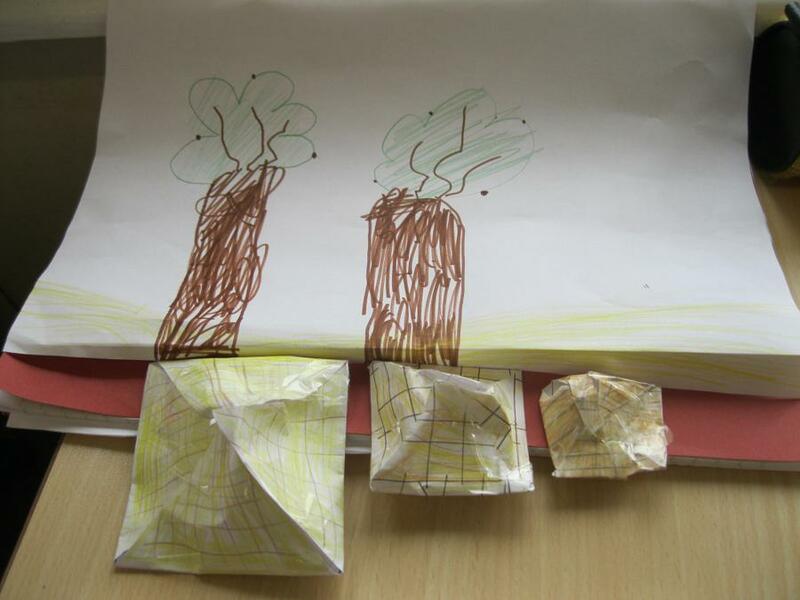 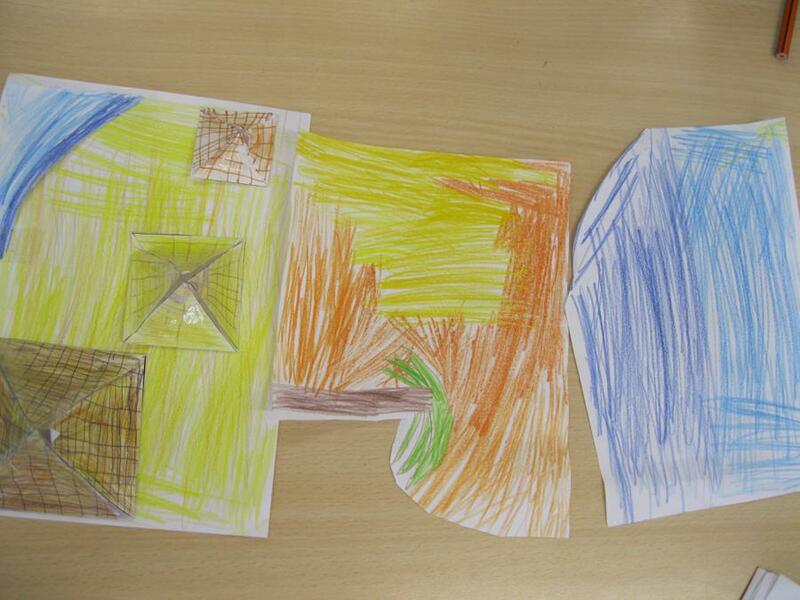 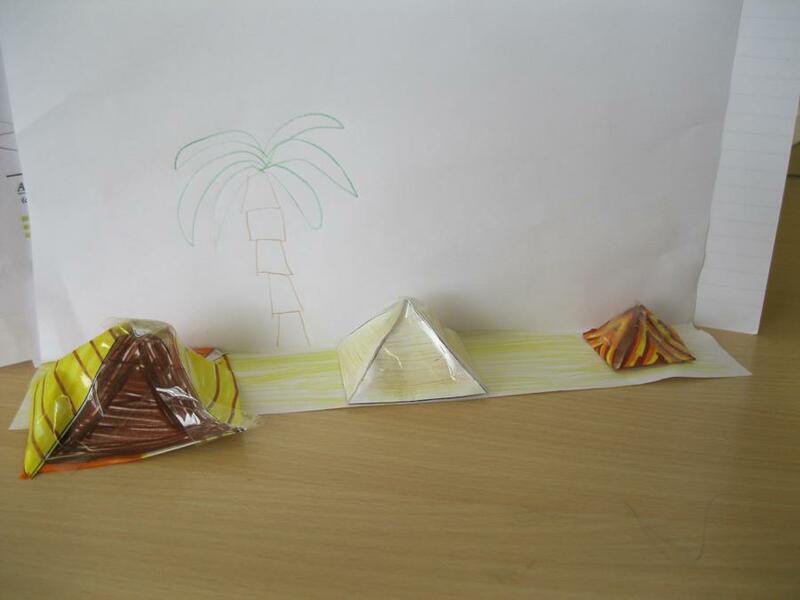 We researched pyramids to find out why and how they were built, then worked in groups to create our own pyramid scenes. 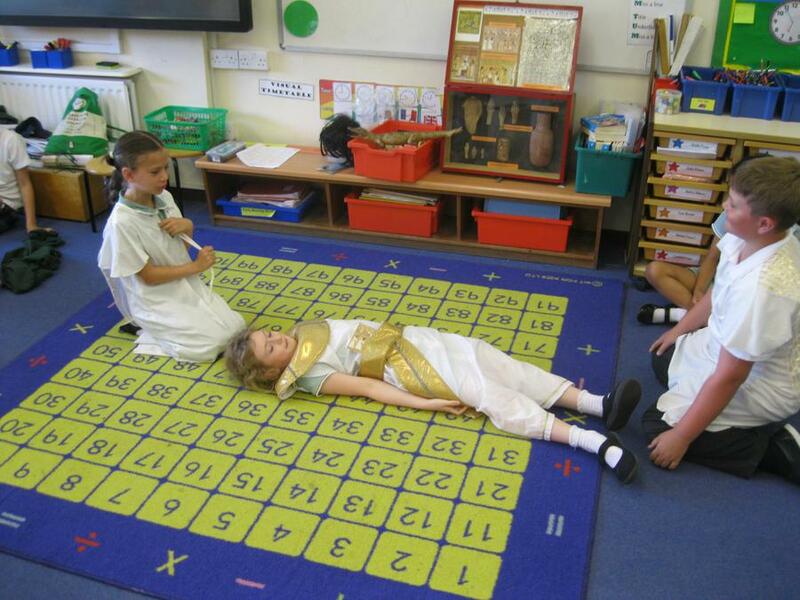 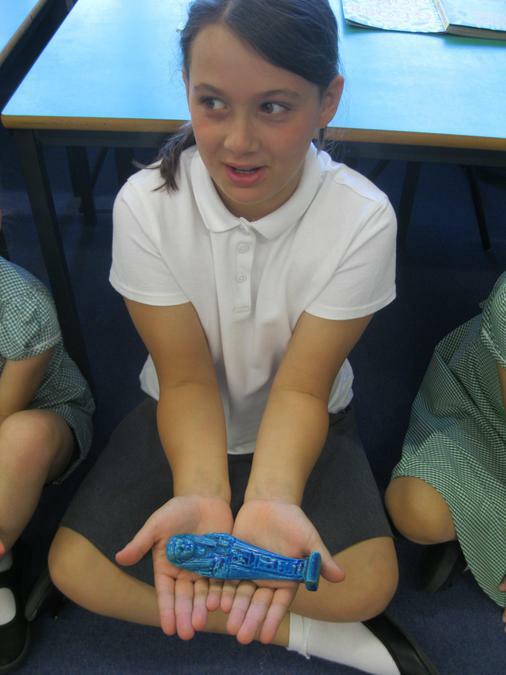 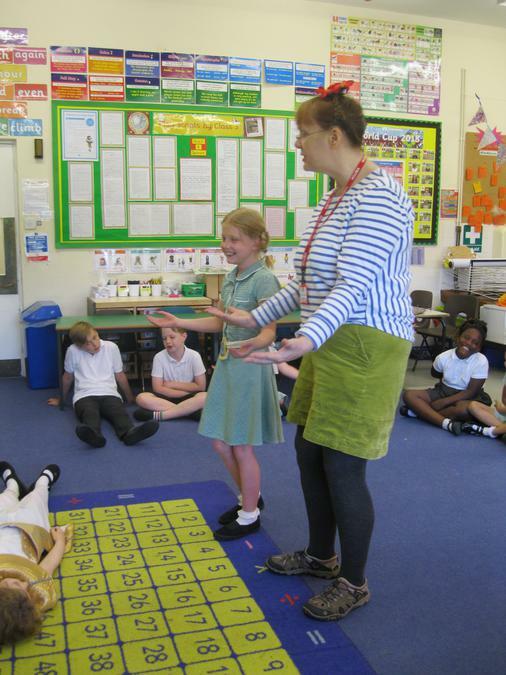 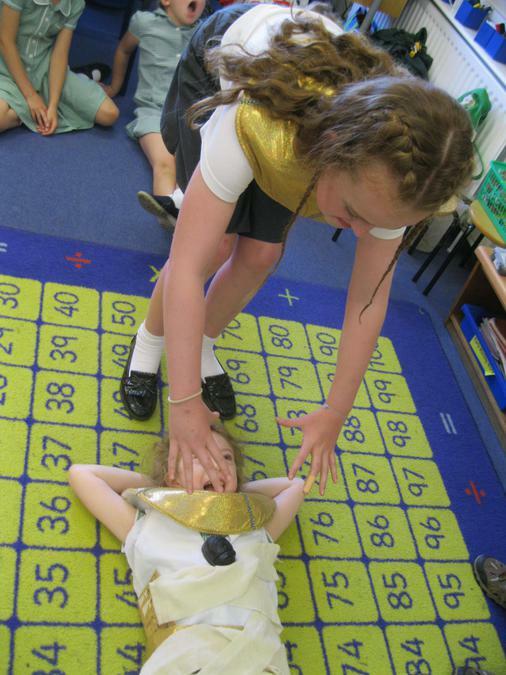 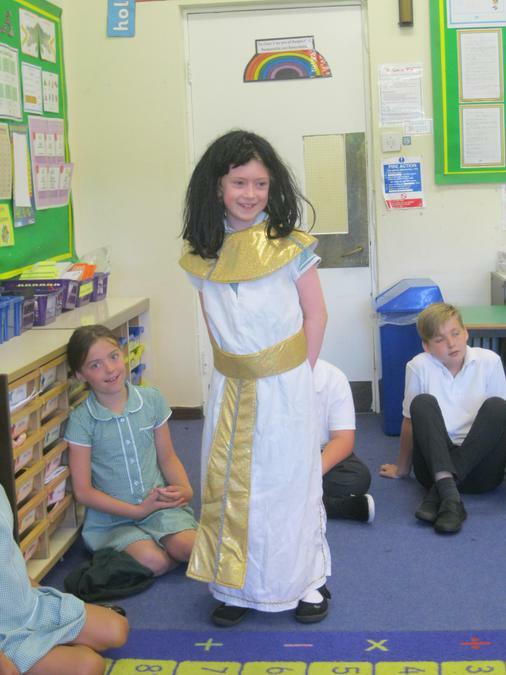 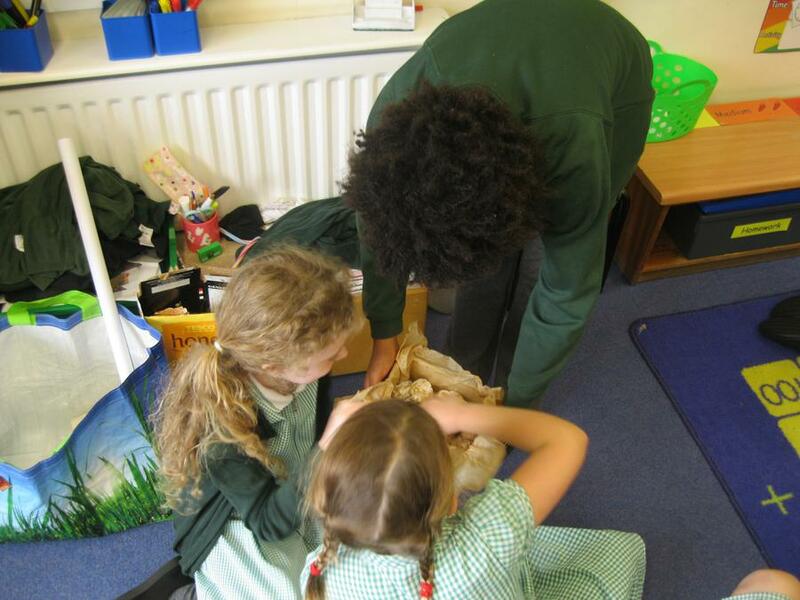 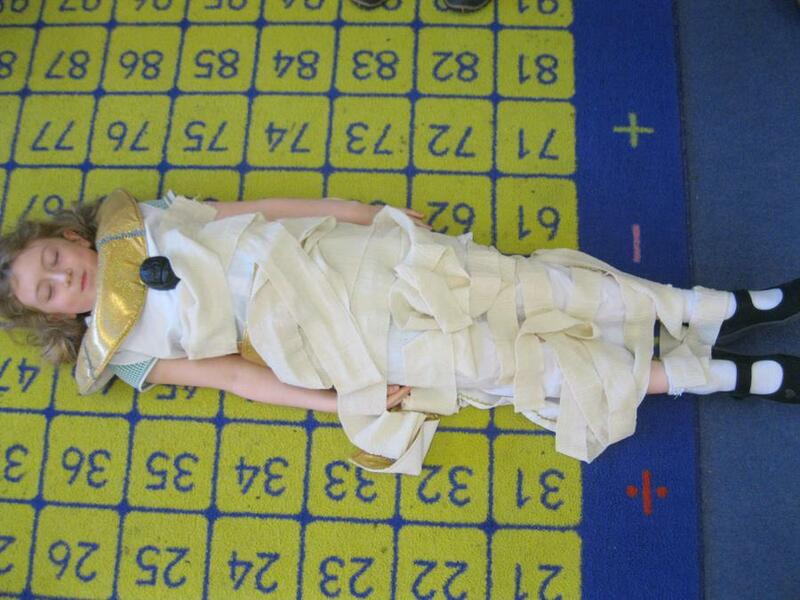 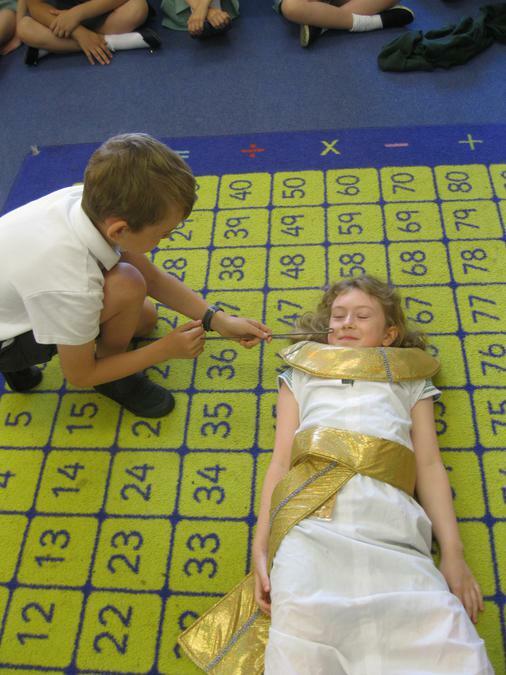 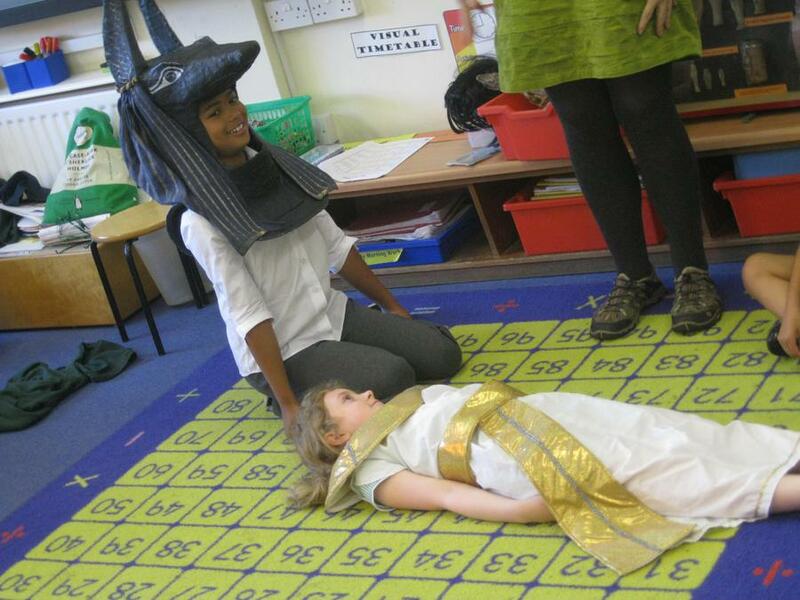 Cas visited us from the museum to tell us all about what happened when a Pharaoh died, then we had a go at re-enacting it ourselves.